Dan has left Wilbur and Christer to concentrate on his own band Doomsday Government so the raven flies no more. Dan will contribute material to a b-horror film called I am vengeance and his tracks will also be featured on the Meteor city soundtrack to the film. 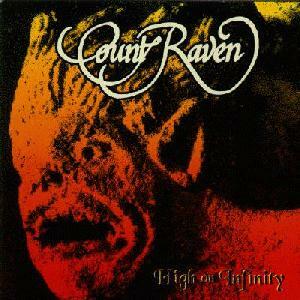 The reason for departure was that he couldn't work with them anymore nothing happened, and the band stood still and that was driving him nuts so the story of Count Raven is now closed forever. It has been a lot of bad feelings between frontman Dan Fondelius and the rest of the members since 1995. The reason was that Solitude Aeturnus wanted Count Raven as support act for their european tour, Wilbur and Renfield wanted to play but Dan was up for a court thing with his daughter that is handicapped at that time but Dan wanted to play too. He informed the other members about it but they didnt care about. Solitude Aeturnus got Revelation instead. But Renfield and wilbur started to blame Dan for everything cause of this incident, Dan felt like very much alone. So the members didnt do anything for several months no rehearsals or anything. 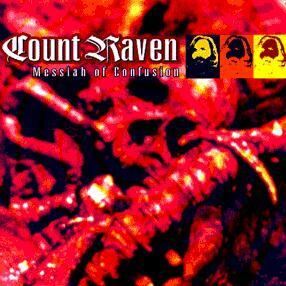 Then in the fall of 1995 they got back together to record the Messiah of confusion album, they put all the problems away for some time. 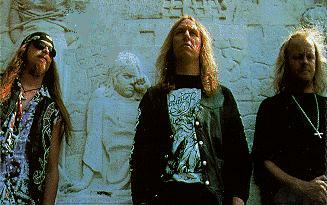 Messiah.. was the last album for Hellhound, to get away from the contract they got a lawyer in 1996 and all the business stuff took away the creativity. Dan took a lot of responsible things for this he wanted the band to move on. Dan continued to write songs while the others just turned up for rehearsals, Dan really wanted the band to work. In the end of 1997 b-film director Richard Anasky got in touch he was a big Count Raven fan he wanted the band to do the leading tracks for his film I am Vengeance, the band was very very excited over this offer. Dan continued in his own studio to write more songs, while the others just turned up again for rehearsals. Early 1998 it was time to record a new demo the first in 9 years. Renfield and Wilbur put down all the bass tracks in the studio while Dan did the rest, I informed a couple of interested labels about it and everyone was waiting for the result. Wilbur and Renfield promised to do the cover of the demo, it never came, Thomas the bands producer promised to get new synthesizers for Dan it never came so Dan had to pay everything himself. Dan got fed up with everything, so he left here a while ago. His new band Doomsday Goverment was already formed previous to that, and now the band has a lot of great things ahead for them. Dan has also found a new great studio outside of stockholm that he and the rest are very happy with. Dan said that in this new band everyone works for everyone one for all and all for one, the creativity is over the top. 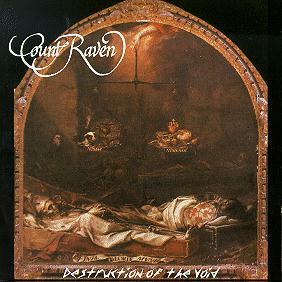 Dan is still very frustrated and very bitter that the demo Count Raven recorded never got out, but he said that the songs that they (Doomsday Goverment) have for this new one is more harder but the Count Raven touch is still there cause of his vocals and guitarsound. Dan Fondelius has a sideproject called The Doomsday Goverment. 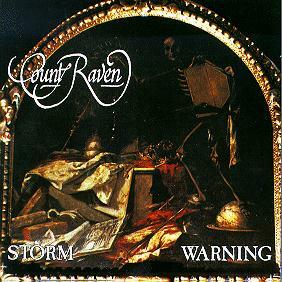 He is looking for a deal to release a mini CD or 7"
Swedish Burn Records is putting out a compilation soon with one exclusive Count Raven track titled "Scream"